Born and raised in New England, Main Gallery artist Laurie Gorman moved to Los Angeles to work in the music industry. She is a publicist at one of the most prestigious music management firms in the industry. She moved to Visalia in 2008 and loves being so close to the Sequoia National Forest. She has been painting watercolors for more than two decades, and sells her cards at the Visalia Farmer’s Market at Caldwell and Mooney on Saturday mornings and at other locations throughout the Central Valley. She has won numerous awards at the Tulare County Fair. 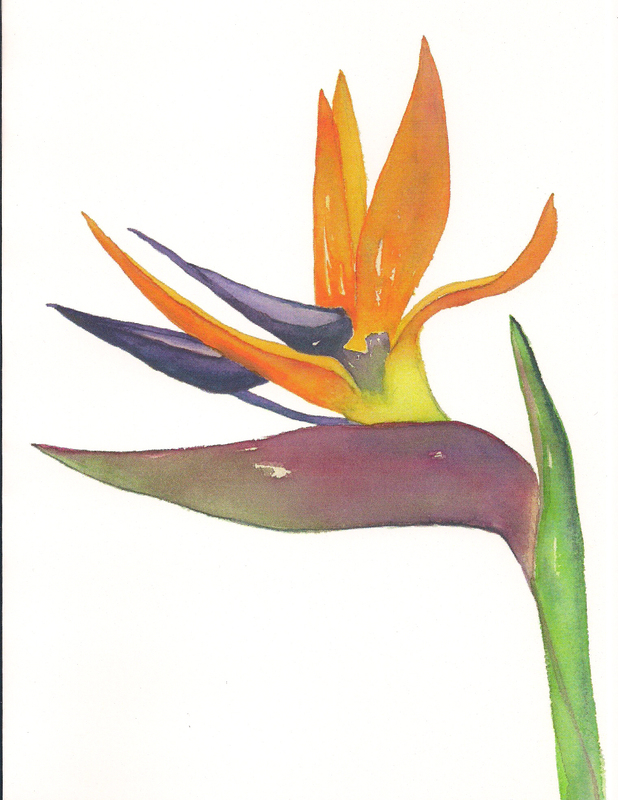 Her “Bird Of Paradise” won First Place in 2016. Her “Papayas” won Second Place in 2015, and her “Oranges” won Third Place in 2011. 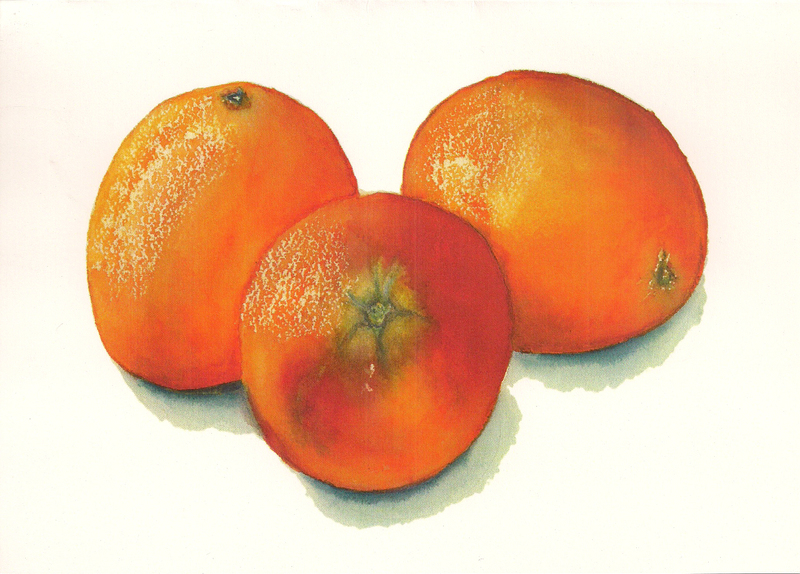 Her “Oranges” also won the Best Of Show award at Visalia’s Inagural Taste The Arts Festival, and was chosen for display as part of the Alliance For California Artists Open Competition. It was also selected by a jury panel as part of the 2015-2016 Visalia Visual Chronicle. Her other interests are playing Mah Jongg, and her family, which include numerous felines.